The mean of 1, 7, 5, 3, 4 and 4 is m. The numbers 3, 2, 4, 2, 3, 3 and p have mean m-1 and median q. 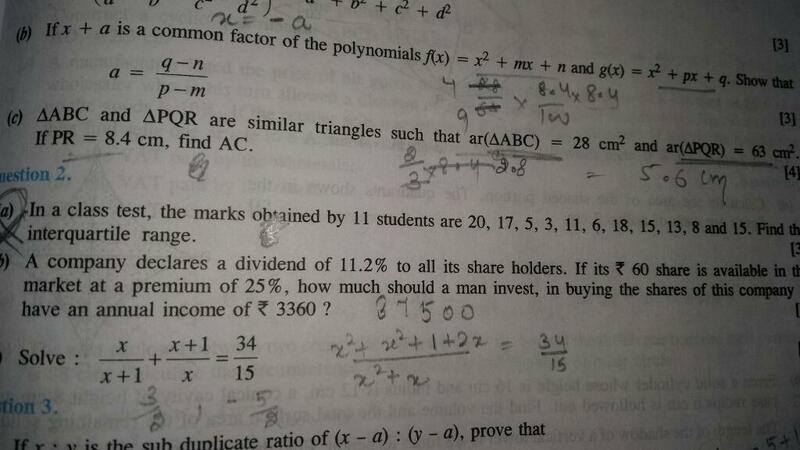 Find the values of p and q. Draw a cumulative frequency curve for the following frequency distribution: C.I. 40-45 45-50 50-55 55-60 60-65 65-70 70-75 75-80 Frequency 5 17 22 45 51 31 20 9 From the ogive, find out lower quartile and upper quartile. Draw a graph and indicate the position of median for the above data? If 10, 13, 15, 18, x + 1, x + 3, 30, 32, 35, 41 are the observations arranged in ascending order with median 24, find the value of x. The median of the following observations 11, 12, 14, (x - 2), (x + 4), (x + 9), 32, 38, 47 arranged in ascending order is 24. Find the value of x and hence find the mean.